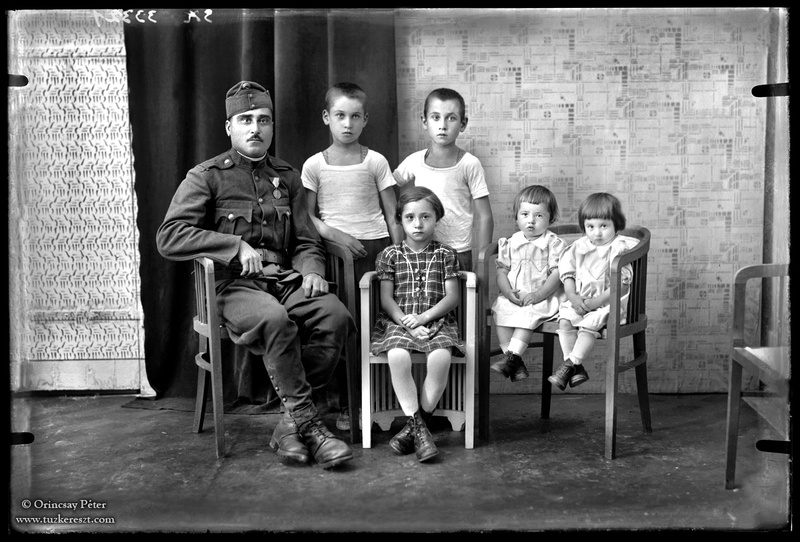 Family photo from an old glass-negative. The Father, a soldier in the Royal Hungarian Army, most likely around the time just before WW2. Decorated with 1938 Return of the northern territories (Felvidék) remembrance medal. The photograph is made my the same studio photographer as some previous picture posts and originates from the same photo-heritage.